55 days. Produces a large central head plus numerous side shoots after the first harvest. 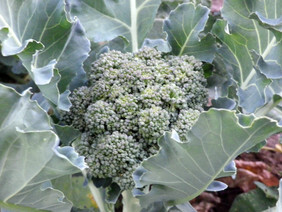 Developed for home gardens, harvesting spread over a 3-week period. The bluegreen central head has tight buds. Plant for spring or fall use. Good fresh or frozen. One of our favorites! Pkt (2 g).